One of the reasons collective investment schemes, such as unit trusts, are so popular among individual investors is that buying and selling underlying assets is not subject to capital gains tax (CGT). The Taxation Laws Amendment Bill (TLAB), published earlier this month, includes an amendment that may change this. It proposes that all disposals of financial instruments by collective investment schemes, within 12 months of their acquisition, be deemed as revenue and taxable in the hands of the unit holders if it is distributed to them. If the revenue is retained within the scheme, the scheme will be taxed on the amount. This will significantly increase the tax and administrative burden for schemes and individual investors, industry players warn. The tax rate could be as high as 45%. A collective investment scheme is essentially a pool of funds created by the contributions of individual investors that is managed by a professional portfolio manager. The manager buys and sells shares, bonds, listed property or other financial instruments, depending on the fund’s mandate. Under the existing tax rules, investors in collective schemes are exempt from CGT within a portfolio. According to PSG Wealth, securities in a unit trust portfolio held over 10 years can be bought and sold many times, but CGT is triggered only when the investor sells a unit, or units. The effective CGT rate for individuals on the top marginal tax rate is 18%. National Treasury announced in the Budget in February that it was concerned about the “frequent trade” in underlying assets by managers of collective investment schemes. In the explanatory memorandum to the TLAB, Treasury says the fact that how the distinction between capital and revenue is determined is not “explicitly stated” in the Income Tax Act, and reliance is placed on “facts and circumstances, as well as the case law”, has led to different applications of the law. This has resulted in an uneven playing field with regard to the taxation of collective investment schemes. Wiese says it must be asked whether the “juice is worth the squeeze”. Leon Campher, the chief executive of the Association for Savings and Investment South Africa (Asisa), says because Asisa is engaging with Treasury on the proposals in the bill, it would be inappropriate to speculate on their potential impact. Natasha Wilkinson, a legal specialist at Tax Consulting, says portfolio managers have got around the definition of capital versus revenue by arguing that investors in collective schemes intend to invest for the long term, and therefore the distributions should be classified as capital and not revenue (income). She says if someone is earning R1.4 million but receives several distributions because of trades, it may push his or her income to R1.5m. The investor’s marginal tax rate will increase from 41% to 45%. Erika de Villiers, the head of tax policy at the South African Institute of Tax Professionals, says the proposed amendment is significant. It will introduce a “bright-line test” to determine the capital or revenue nature of income from the disposal of financial instruments by a collective investment scheme. “The policy and practical considerations of this proposal should be fully consulted on. Given that such disposals have historically not been subjected to tax, a change in the tax regime could have significant consequences,” De Villiers says. 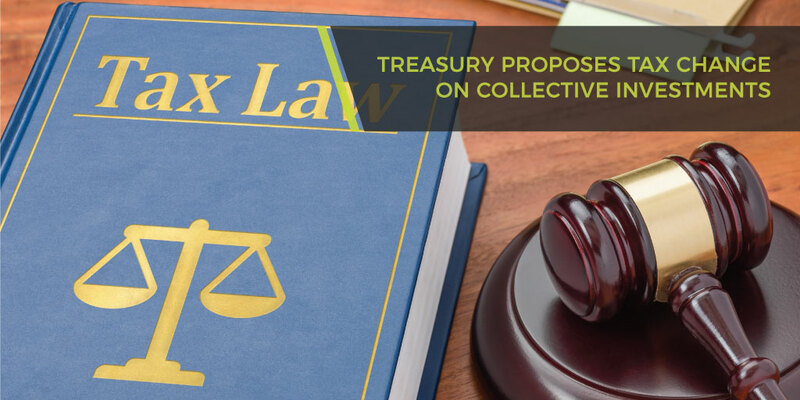 Treasury indicated that if the amendment is enacted, it will come into effect on March 1 next year and apply in respect of financial instruments disposed of on or after this date.